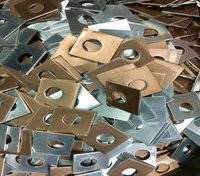 SIMCO houses 80% Aluminium and 20% Copper Bimetallic Washers bimetallic Plates, bimetallic Sheets. 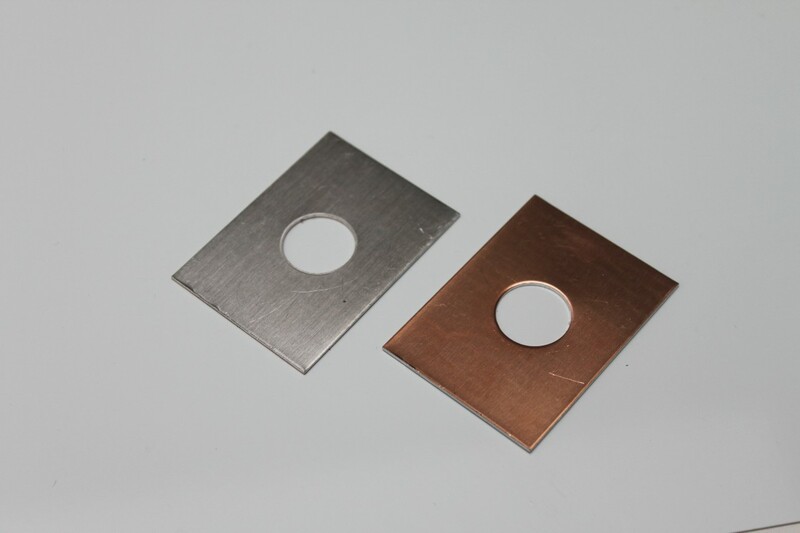 Copper/Aluminium Bimetal a.k.a Copper Clad Aluminium is used for various purposes and has numerous applications such as in Thermometers, Circuit Breakers, Isolators, Fire Alarms, Electrical Devices, etc. It is used to convert a temperature change into mechanical displacement. The different expansions force it to bend one way if heated, and in the opposite direction if cooled below its initial temperature. Sidhartha Metal Company is one of the leading Manufacturer, Exporter and Supplier of Copper/Aluminium Bimetal from India. With our own manufacturing setup, vast experience and highly skilled personnel we are able to provide high quality bimetallic products suiting to the customer’s specific demands. We also have in-house facility to manufacture bimetallic components and bimetallic washers, bimetallic plates and thus, we have been able to supply bimetallic products to many government, semi-government and major private organizations in India and Abroad. We keep 300x600mm bimetallic plates/sheets in ready stock in thickness ranging from 1mm to 3mm and can provide other bimetallic products as per customer’s demands as and when required.